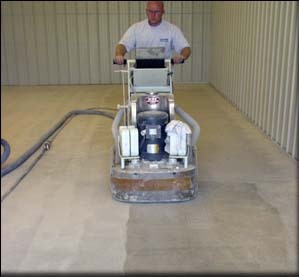 Grinding of concrete flooring is one of the most environmentally friendly preparation methods. Grinders are used along side shotblasting for edging along walls and equipment. 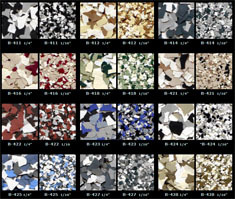 In the last decades the improvements in terrazzo grinders have allowed for the use of large walk behind grinders for concrete preparation in addition removal of coatings and sealers. 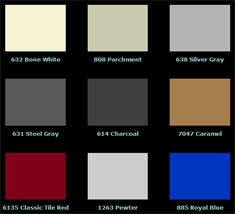 Depending on diamond sizes it can produce a very smooth uniform appearance. It is even possible to produce an almost marble or terrazzo-like appearance by using successively finer and finer abrasives to polish concrete. Diamond grinding is much slower than shotblasting. 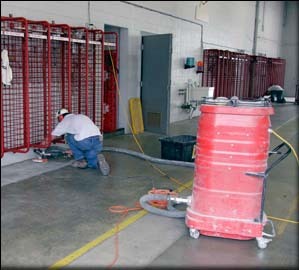 Consumption of diamond blades and abrasives can be costly especially when removing thick coating or smoothing out rough concrete. Diamond grinding may require re-cutting of expansion joints or grinding out inside cracks.